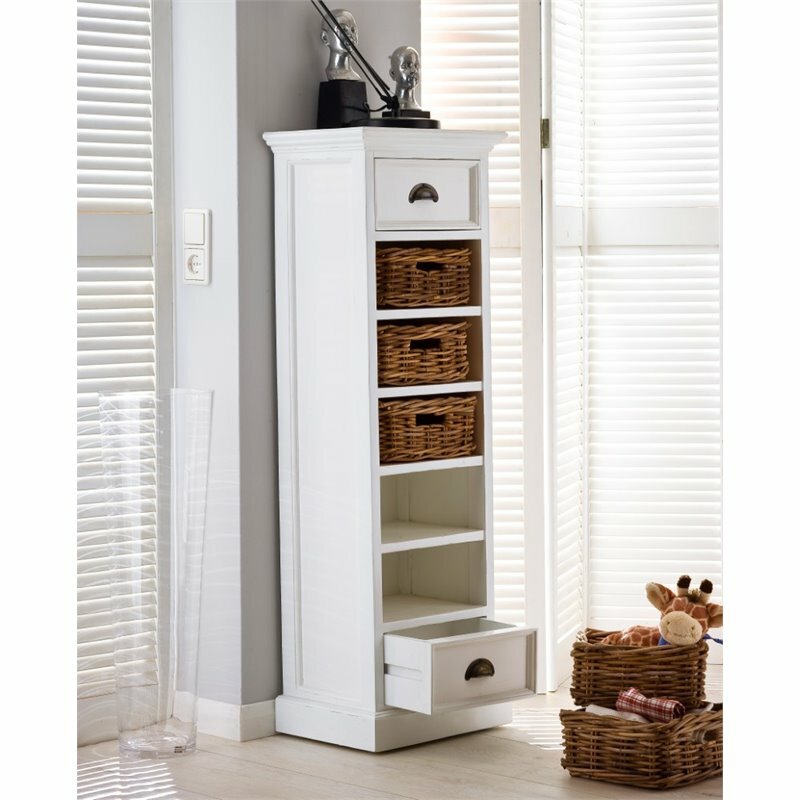 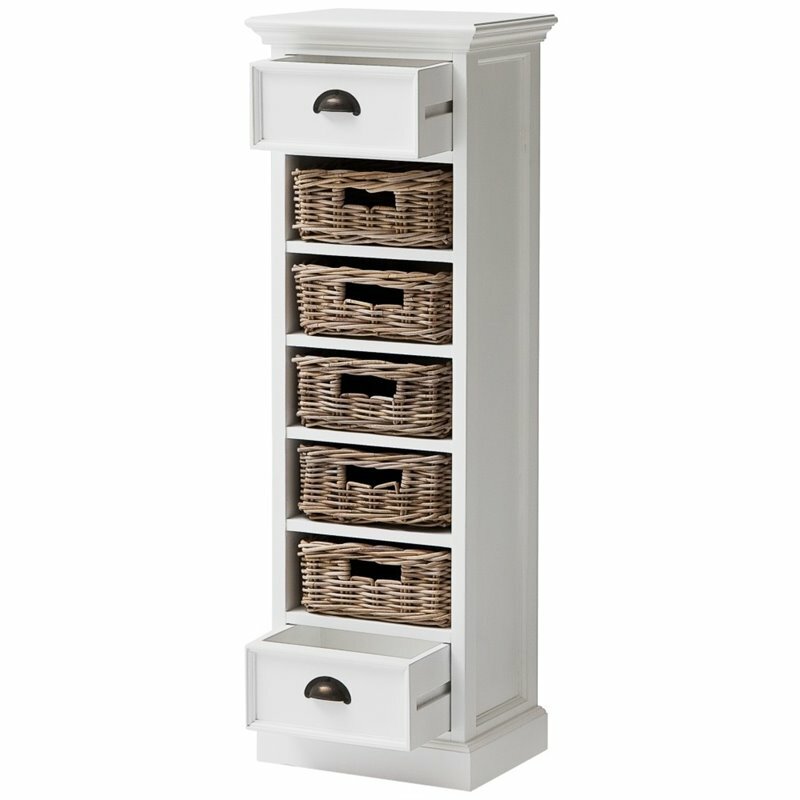 A cleverly designed tower storage units offer good looks and practicality in a charming package. 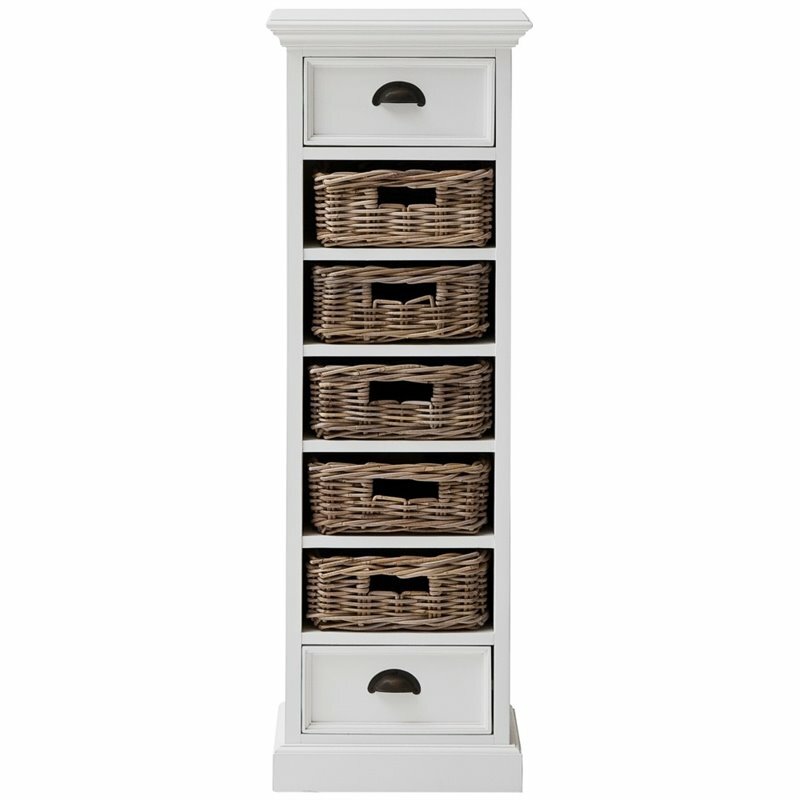 Palm baskets, nestled on shelves, attractively counterpoint the drawers. 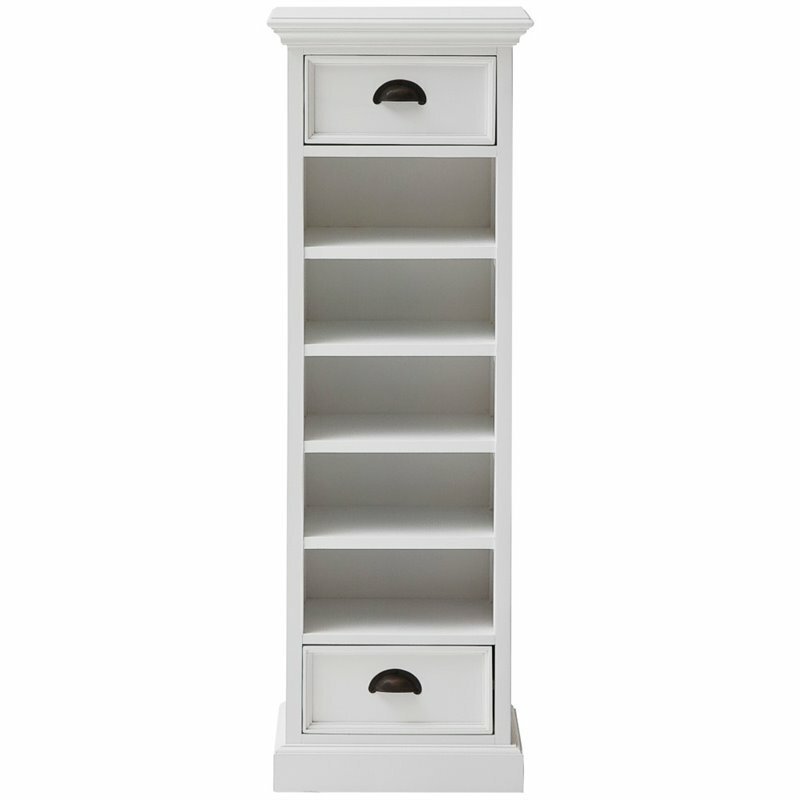 The flared molding and antique brass hardware complete the look of the storage unit. 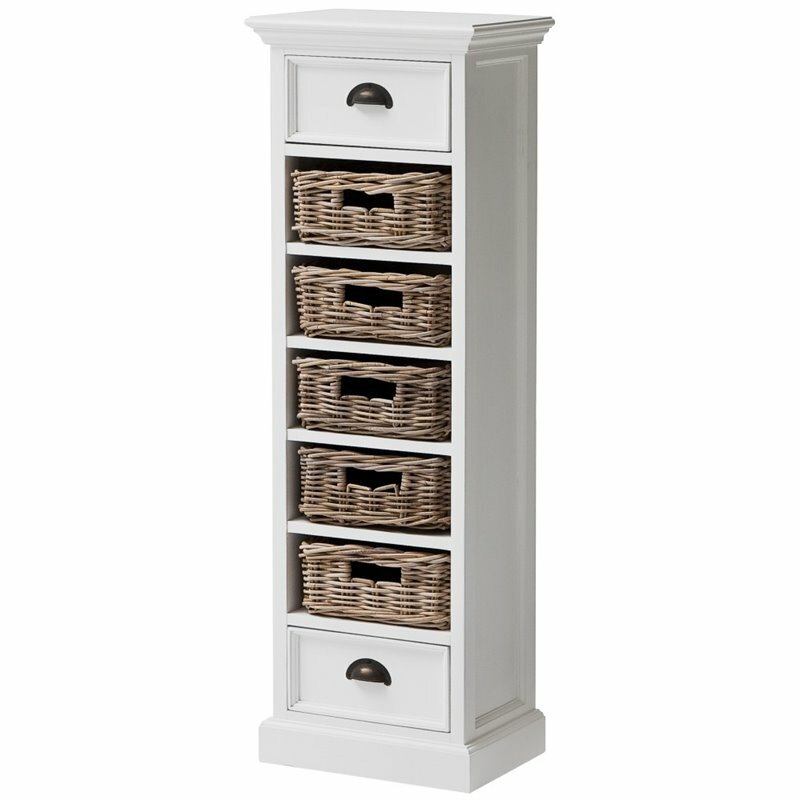 This consumer rating is based on 2 reviews of all Beaumont Lane products. 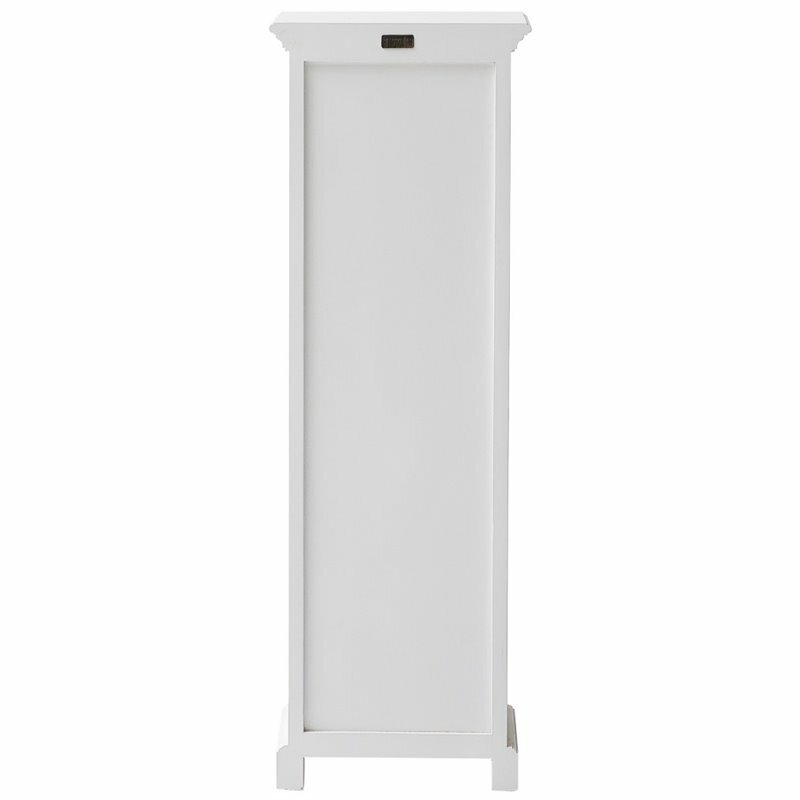 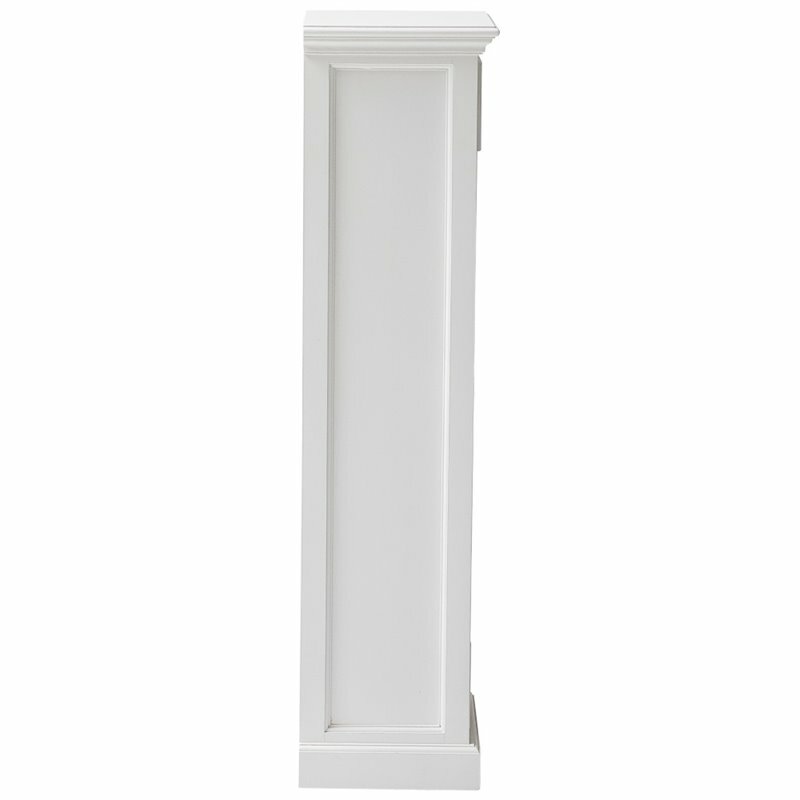 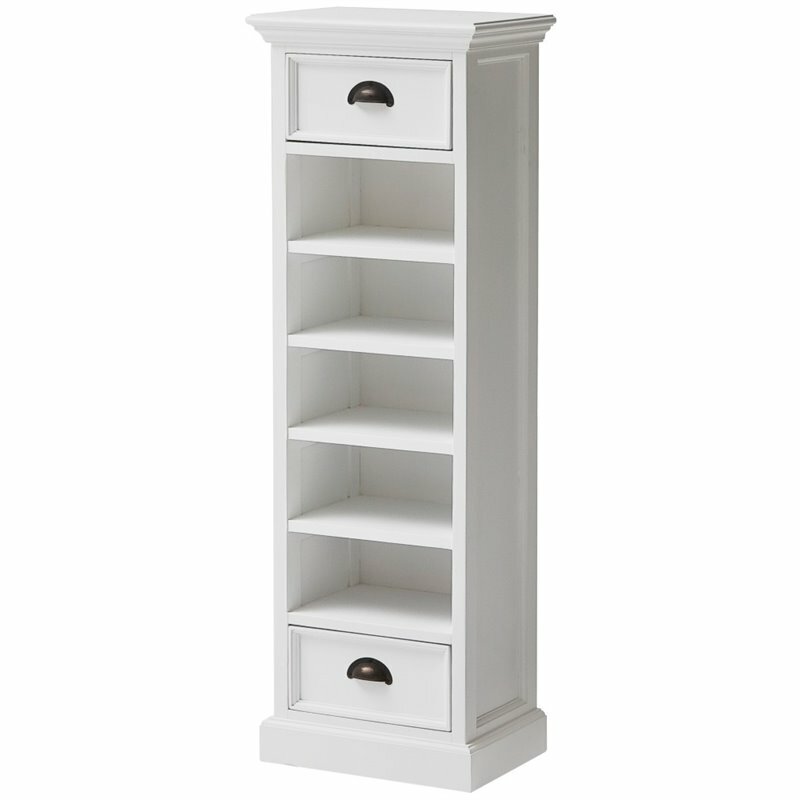 The Beaumont Lane Tall Storage Unit in Pure White has not yet been reviewed, be the first!